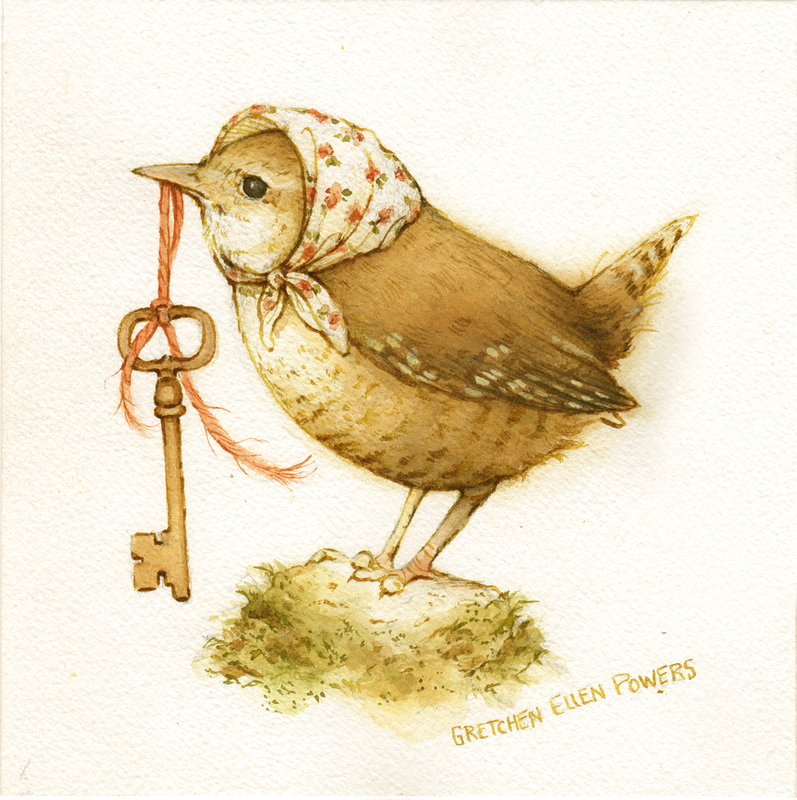 This little bird lass holds they key to her own heart in her beak, exposing it, vulnerable to give away to a sweet love bird. There are many different keys that open many different locks, unlocking someone's heart is the most precious treasure of all. 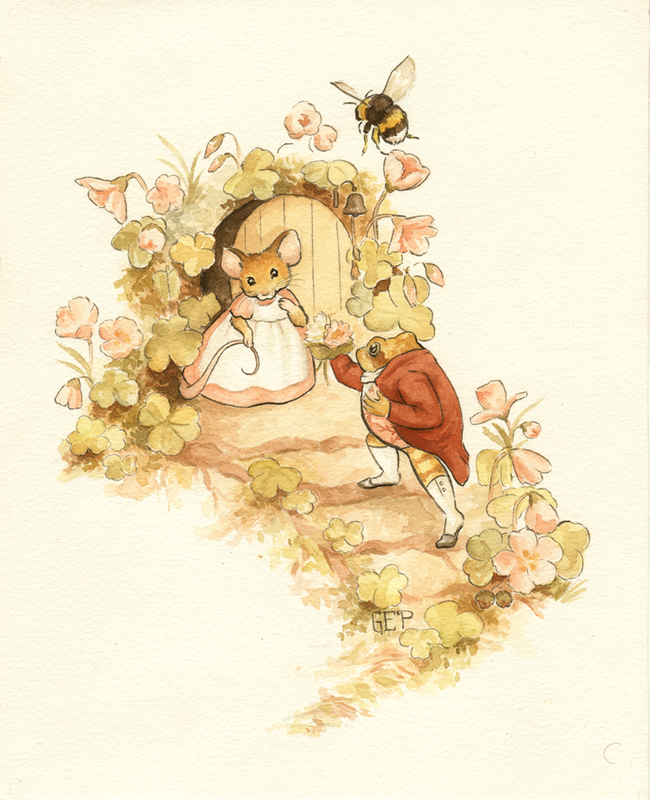 Miss Mousie has a pleasant surprise waiting for her outside of her front door. Froggie has come a calling for her hand, with a bouquet of waterlilies. It seemed so appropriate for a Valentine's theme, and being animals I couldn't help myself.